State tax breaks for going green can be split into two categories: renewables and energy efficiency. Renewable energy could be something like adding solar panels to your home while energy efficiency would be new windows or new energy saving appliances. Most states and even many local governments have some tax break for these types of items, and the best part is that state tax incentives can be used in addition to federal tax breaks for energy. State programs are very specific and can differ widely, but state tax breaks usually come in three main types: sales tax exemptions, income tax credits or deductions, and property tax rebates or exemptions. Incentives offered through state utility authorities are also very common. Several states and localities have corporate tax credits and deductions for investments in renewable energy and green building. 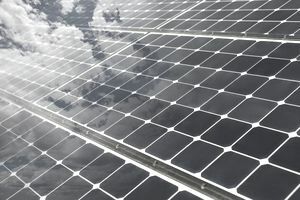 Oregon offers an income tax credit called the Business Energy Tax Credit for businesses who invest in renewable resources, energy conservation, or the manufacture of renewable energy resource equipment. The amount of the manufacturing credit can be huge, up to a maximum of $40 million for each phase of development. Arizona has a non-residential solar and wind tax credit for up to $25,000 per building or $50,000 total. Utah also has an income tax credit for renewable energy systems, for both residential and commercial systems. The residential credit can be claimed for a maximum of $2,000, and the commercial credit can be claimed for 10 percent of the investment up to a maximum of $50,000. In addition to state tax incentives for green construction, many cities waive permit fees or accelerate the approval process for the construction of sustainable buildings. Income tax credits for going green are available in 22 states. Michigan has a refundable credit for energy-efficient home improvements or appliances purchased for use in a taxpayer's primary residence that they own. The credit is for 10 percent of the purchase price with a maximum of $150. Oregon has a tax credit for energy efficient home improvements for residents of Oregon who are either homeowners or renters. The credit can be taken for up to 25 percent of net purchase costs for appliances, solar panels, air conditioning and heating systems, and more. Many states specifically exempt purchases of energy-efficient products or renewable energy equipment. In Washington State, for example, sales of equipment used to generate electricity using fuel cells, wind, sun, biomass energy, tidal or wave energy, geothermal, anaerobic digestion or landfill gas are not taxed at all. In California, products purchased for the design, manufacture, production, or assembly of renewable energy equipment, combined heat, and power equipment, and alternative transportation equipment are not subject to sales or use taxes. Some states also have special sales tax holidays for purchases of Energy Star appliances. Property tax exemptions for renewable energy can be found in 32 states. New York City allows a 4-year reduction in property taxes equal to 5 percent of the yearly costs of a new solar system. New York State excludes 100 percent of the value of renewable energy home improvements. Similarly, California excludes up to 100 percent of the value of solar energy systems installed between 2009 and 2016 from property taxes. Many state tax credits, especially those for green construction, require that you apply for the credit, rebate, or exemption before you begin the project. And some tax incentives have a specific budget cap, and once that is met, no more credits are given out. It makes applying early especially important. Even most appliance rebates require an application prior to purchase. So, check with your state tax authority or department of energy for details on incentives before you start. The U.S. Department of Energy has created a website called DSIRE (Database of State Incentives for Renewables and Energy), which includes summaries of all federal, state, and local tax incentives as well as utility authority incentives for each state. You can also do a zip code search for Energy Star incentive programs in your area on the Energy Star website. Besides tax incentives, there are state grants and loan programs for green construction in many states as well as state appliance rebates, which refund part of the cost of energy efficient appliances. Appliance rebates are available in nearly every state.